I have known some very successful law firm partners who feel that the most important question during the proposal process is not “what does the client want?” but “who else is being considered for the work?” Why? Because everything law firms do is affected by their competition; their fees, their service mix, their client care and all other elements that make up the competitive profile of a specific law firm. Even if an attorney has just a rudimentary understanding of the competition, he should have a strong idea as to their respective strengths and weaknesses. Every law firm that bids on your work wants your work. As an in-house counsel and purchaser of legal services, it benefits you to do two things to improve your chances of landing the optimal client/firm relationship. First, if you only have two or three firms proposing, I would not share the names of all bidding firms, particularly if they have similar profiles. If you have four or more firms (assuming from different categories of legal service providers), then I would share the names of all competing firms. Leader. By any objective criteria, this firm should be considered the natural leader for your legal work. The comfort level is substantial, and they are the first name you consider when listing alternatives. They can definitely execute the work with high quality. They may be among the priciest of alternatives. First Challenger. The second firm you consider, option #1a to the leader’s #1. Virtually as good as the leader, and most likely superior in some important ways, but perhaps not quite as impressive a brand.. Smaller firm with a more optimal cost/service mix. If the first two firms are in the AmLaw 100, this is your AmLaw 200 choice. Still an exceptional firm with a solid if not great reputation, it has some holes, but will have a more appealing fee structure in comparison to services needed. Maverick Massive. Given the fact that AmLaw 100 firms have taken a beating since 2009, some of them are bending over backwards to attract clients. The local office of a large national or international firm may not match up as well as the other competing firms based upon local resources, but they are hard to beat if they decide that they really want a client. I was involved with a mid-sized public technology company that fired their New York white shoe law firm and was ready to engage a large local technology law firm, but another white shoe law firm made them an offer they literally couldn’t refuse. Non-traditional firms. Legal services are taking on all sorts of appearances these days. I’ve been told that there are over 400 technology startups that offer or otherwise participate in the legal service profession. These are typically firms run by business people who have substantial experience and expertise in streamlining services. As legal project management experts, they can often offer a better combination of reduced fees, improved efficiencies and better service than can traditional law firms. Boutique. I worked with a small Midwestern employment boutique that was trying hard to get the work of a Fortune 150 client. Their main competition was one of the largest employment firms in the world. They wanted the work, pursued the client aggressively and ended up engaging the client. The best people in these firms are often directly from AmLaw 100 firms and have similar if not better capabilities. Well worth a look in many instances. Incumbent. You may be privately thinking of them as “the-firm-that-I-am-about-to-fire,” but I would include them in the mix for two reasons; first, because the incumbent is often willing to bend over backwards to retain work, particularly if they are just starting to realize that there are service problems in the relationship. And second, you’ll want the other firms to know that the incumbent is being considered. That will help keep them honest. Again, let each of them know who you are inviting to propose. Given that law firms should know their competition well, it serves as an indicator to the law firms as to what you consider to be important criteria for your decision. Each of these steps are designed to help you find a mix of law firms that is optimal for your needs. The legal profession is competitive, and as a consumer of legal services you can leverage that competition to achieve the best possible output. Your company’s leadership will generally support this approach, given the attention you are paying to being cautious with corporate resources. Read Mr. Stapleton’s earlier posts titled “How law firms exert control over the legal vendor selection process“, “How law firms want you to select a new firm and how you should do it” and “The RFP for Outside Counsel“. 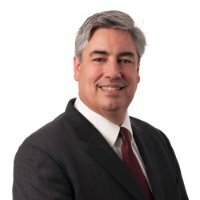 James J. Stapleton is the Managing Principal of LEAP Legal. Mr. Stapleton spent several decades building large law firms (Fenwick & West and Littler Mendelson) and large accounting firms (PwC, Arthur Andersen, Grant Thornton) before founding LEAP Legal. LEAP (Legal Effectiveness and Pricing) Legal works with clients to reduce legal fees, optimize relationships with their law firms and streamline their internal legal processes. He can be reached at jstapleton@leaplegal.org or by telephone at 408.204.6656.